I am convinced that the best rockers come from the most middle class backgrounds. It's all about having something against which to rebel. 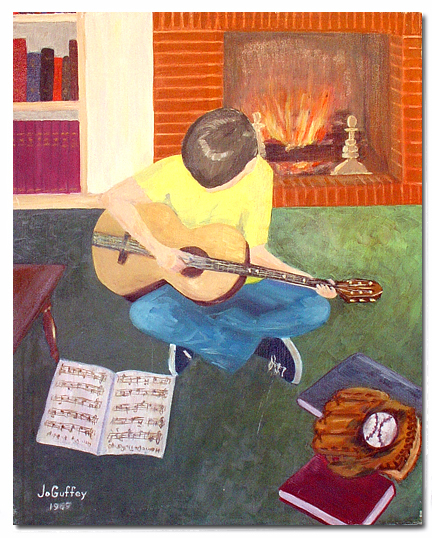 The kid is looking at the sheet music to Home On the Range, and playing the 1967 equivalent of an Esteban guitar, according to the painting. I can almost guarantee that he a) wishes he had an electric guitar and b) wishes he had the sheet music to Smoke on the Water instead. And also that his Mom did not insist on painting such a queer picture in the first place. Jeesh!